Can Kodak adapt to the digital age? Company's aggressive four-year turnaround is officially over. Will it work? 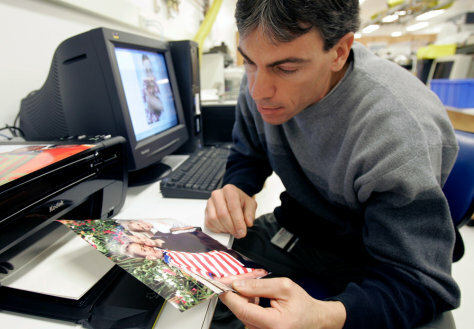 Rich DiBiase, writing systems engineer, inspects a digital photograph printed on a Kodak inkjet photo printer at Eastman Kodak Co., in Rochester, N.Y. Since 2004, the world's biggest film manufacturer has undergone an aggressive turnaround strategy.